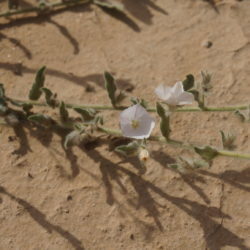 The Prostrate Bindweed is originated in Egypt, native on the Arabian Peninsula and distributed as well in Pakistan and North India. 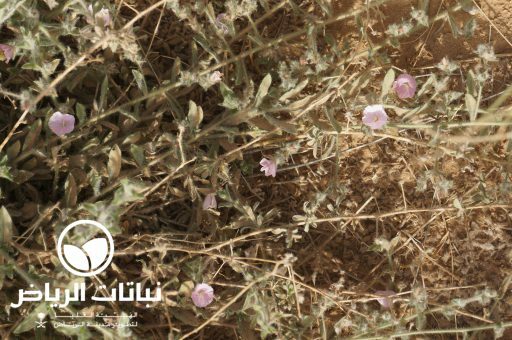 Close to Riyadh it can be found in the Thumamah Nature Park in dry and sandy soils of open Rowadhs plains. 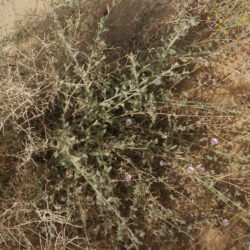 It can be used as fodder for livestock. In former times it was also used as remedy. 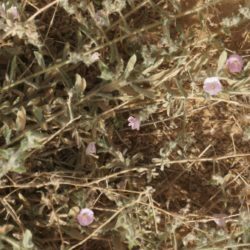 The Prostrate Bindweed is growing like a sub-shrub with a height of 10 to 30 cm with a woody base but it is prostrating as well, but not too far, 40 to 60 cm. 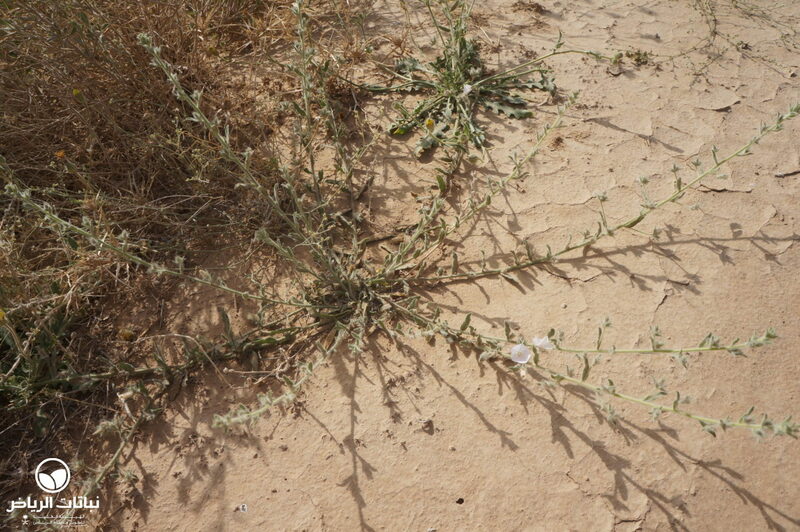 It can be used as groundcover in grouped or massed-planting. This perennial herb flowers in winter. From January to April appear white to pale-pink flowers in a small trumpet shape. 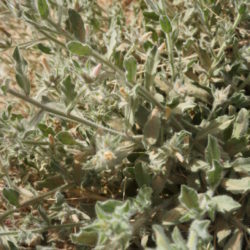 The foliage is perfectly adapted to desert conditions with its tomentose to pubescent protection on branches and leaves. 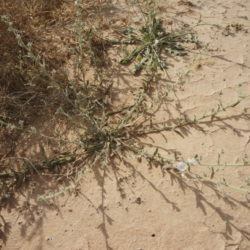 The shape of leaves is lanceolate, 1 to 3 cm long and 0.6 cm broad. 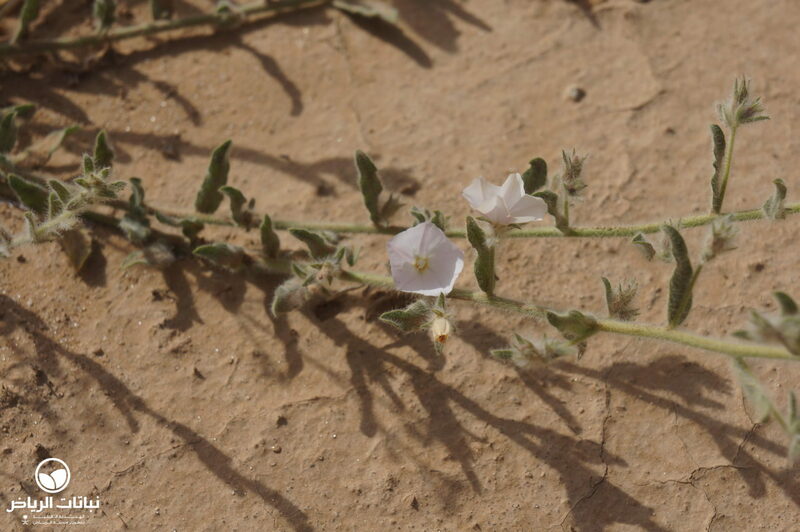 With its silvery look and the pretty flowers the Bindweed brings interesting aspects in plant displays. 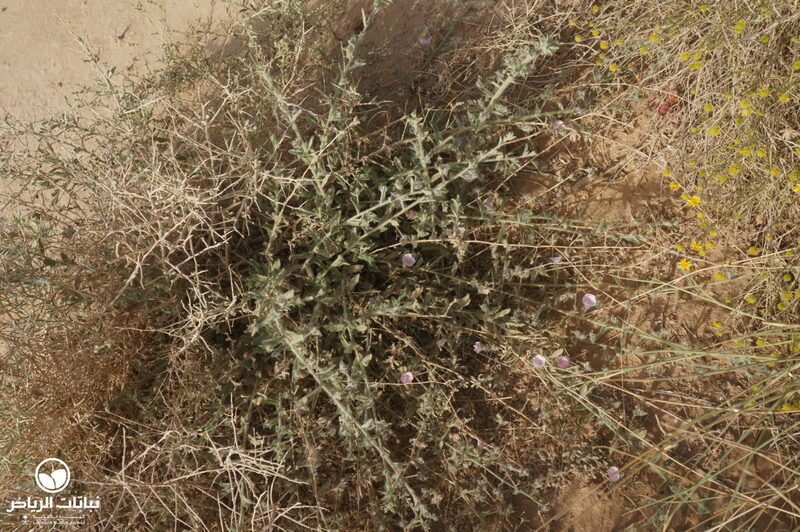 The plants are recommendable in Wadi farm gardens, they produce nice scenery in rock and steppe gardens and they are perfect for extensive green and especially for desert restoration projects. 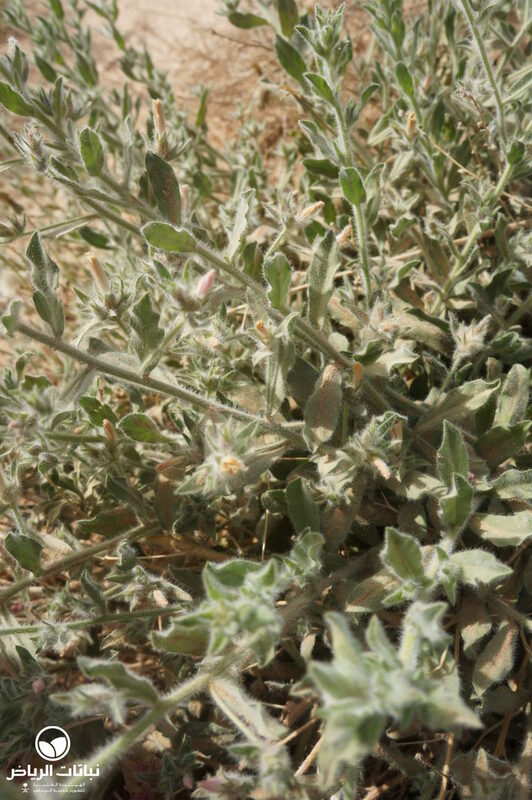 The maintenance requirements are low, only in the beginning after planting irrigation is required until they are established, the irrigation can be reduced to none, but little water (5 to 10 mm per day) can certainly extend the fresh look of the herb. Propagation can be done by seeds or by cuttings.